The epic conclusion to Dan Slott's amazing, record-breaking run! Norman Osborn has been scouring the globe for a cure to the genetic tampering that prevents him from becoming the Green Goblin - and at long last, he's about to find it! His new weapon? The Carnage symbiote! And Green Goblin plus Carnage equals…the Red Goblin! When Osborn strikes, who lives? Who dies? And what scars will Spider-Man bear from here on out? 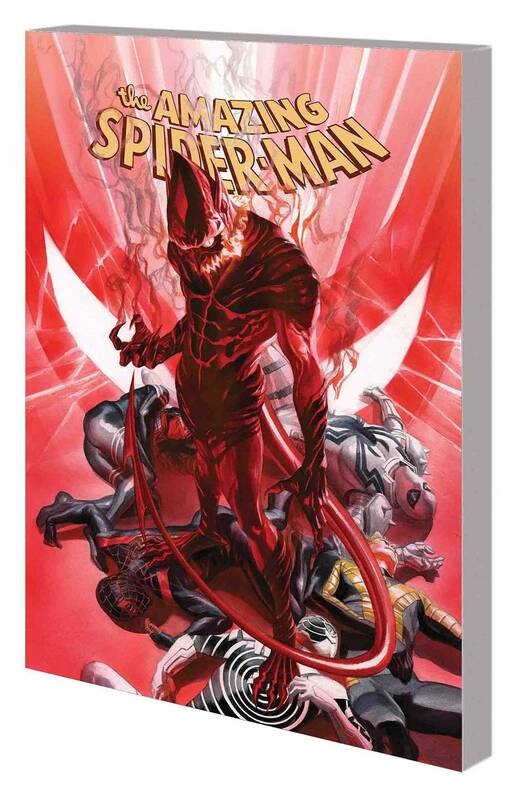 Experience one of the most exciting stories in Spidey lore, culminating in a cataclysmic finale that sees the wall-crawler and some of his staunchest - and most surprising - allies in a no-holds-barred face-off with his most terrifying foe…ever! Plus, Dan Slott signs off with an emotional, heartfelt final Spidey tale that no fan will want to miss! Collecting AMAZING SPIDER-MAN (2015) #797-801. Rated T.